Everyone loves a bargain and if you are the owner of the iPad mini and are in the market for a new case or just want a spare one we have some great news for you today. The iPad mini Social Case is currently available for a ridiculously low asking price for a limited time. ZooGue have a number of different accessories for various mobile devices but to celebrate their latest edition of the iPad mini Social Case they have given consumers the opportunity to purchase one for only $1.99. 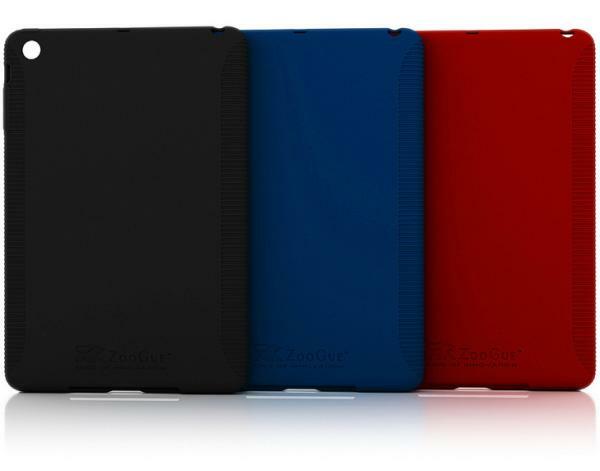 The stylish new case will protect your treasured iPad mini with its soft but durable exterior that is available in Black, Navy Blue, and Old Spice Red. This new product will protect the device from bumps and scratches and has a ridged grip to prevent the device slipping out of your hand, and is made from thermoplastic polyurethane. This case is extremely lightweight and thin so doesn’t add too much bulk to the tablet PC, and if you are quick you can pick one up for only $1.99 instead of the usual $16.49 asking price for the iPad mini Social Case. To qualify for this amazing deal all you need to do is to enter the special “Mini199” code when going through the checkout process of ordering. There is only a limited supply of cases at this great price with a maximum of 4 per customer, and at the time of writing there is still stock left, and you can order the cases here.